World Bank: No More Coal For Kosovo! Back off coal in Kosovo. Already Kosovo, and our whole world, is suffering the harmful effects of burning coal. As new studies show, Kosovo does not need a new coal plant – they can achieve their energy and development aspirations through more cost-effective investments in energy efficiency, reductions in power losses, and renewable energy. Stop pushing coal in Kosovo and around the world. We have the chance to stop a major dirty power plant that will poison the air and accelerate climate change. Here's the situation: The World Bank and the US State Department wants to finance a massive new coal-fired power plant in Kosovo. But new studies show that Kosovo does not need a new coal plant -- they can achieve their energy and development aspirations through more cost-effective investments in energy efficiency, reductions in power losses, and renewable energy. Right now we have a 1 week opening to try and dissuade the World Bank from going ahead with the proposed coal plant. An “expert panel” from the World Bank is deciding in the next week whether to move forward with the coal plant, and it’s essential they get the message that our movement is prepared to stand together with the community there in Kosovo fighting for alternatives to coal. Please sign on today by filling out the form in the box on the right. Your message will be taken to the World Bank, the US Embassy in Kosovo, and to the Kosovo Parliament. The Republic of Kosovo, independent since 2008, is a tiny country of less than 2 million people in the Balkans that sits on the 5th largest reserve of lignite coal (the dirtest kind) in the world. It doesn’t quite match the scale of Canada’s tar sands in terms of total carbon, but for a country as small as Kosovo, a proposed coal plant there, being pushed by the United States government and World Bank, is most definitely their version of a Keystone XL. 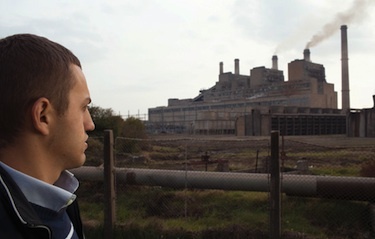 Kosovo already has two coal plants burning lignite coal, called Kosovo A and Kosovo B. Both are highly polluting, contributing both to global warming and to intense local pollution and health impacts. The World Bank, at the behest of the US State Department, wants to finance the construction of a 3rd coal plant, "New Kosovo." Detailed Sierra Club report on the project here (PDF). How Kosovo can meet it's energy needs more cheaply and efficiently with renewables. RAEL report on Sustainable Energy Options for Kosovo.